Unfortunately, not all media players and devices are compatible with M4a, featuring small size of the files and high quality of sound. 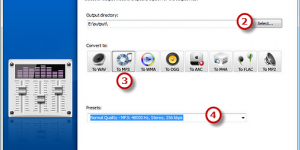 It would certainly be much easier with M4a to MP3 Converter Free which can be used for converting M4a to MP3 with fast speed without any loss of the original audio. M4a to MP3 Converter Free is the perfect solution for anyone who enjoys listening to music or audio books when on the move. It is able to make your audio and M4a files compatible for your Android smartphone, PSP, PS3, Blackberry and many other non-Apple devices. 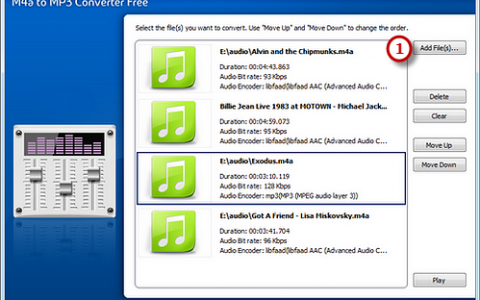 M4a to MP3 Converter Free can be used to customize your audio quality from any resources for music exchange, audio CD/DVD burning, online broadcasting, embedding on website/blog/forum, and so on. 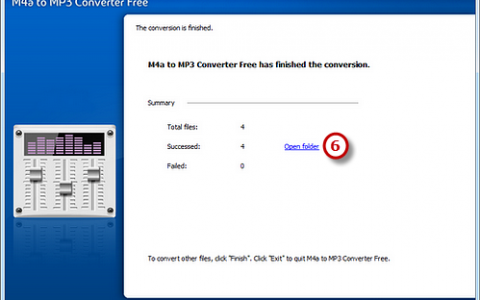 M4a to MP3 Converter Free is professionally designed to convert M4a to MP3 and convert any audios like M4a, MP3, AAC, AC3, WMA, WAV, FLAC, AIFF, AU, OGG, etc. 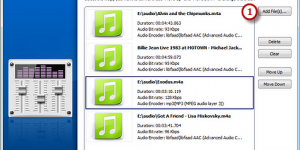 Meanwhile, it can also be served as an audio extractor to extract audios from any videos like MP4, WMV, MOV, VOB, AVI, FLV, 3GP, RMVB, etc. 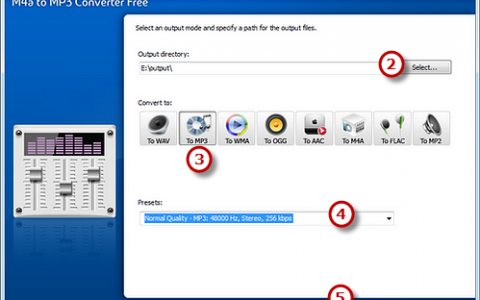 No more confusing numeric adjustment to get the exact output quality you need. 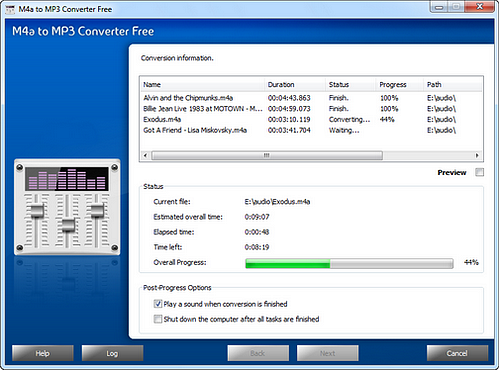 The software provides frequently used presets that include frequency, bitrate, number of channels, etc. No need to worry if you are not familiar with the audio parameters. 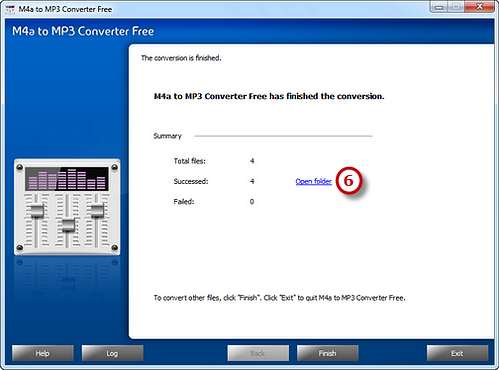 M4a to MP3 Converter Free supports conversion of batch M4a files to MP3 format and other popular audio formats. The batch processing ability let you leave the software to automatically convert all of the files with different formats at one go. This saves you a great deal of time and as the software does all the hard work for you. 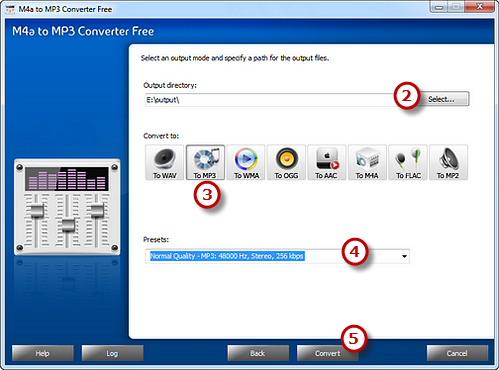 This free M4a to MP3 converter supports a large number of input formats such as M4a, MP3, WMA, WAV, AAC, FLAC, OGG, APE, AC3, AIFF, MP2, CDA, VOX, RA, RAM, TTA and much more as source formats. 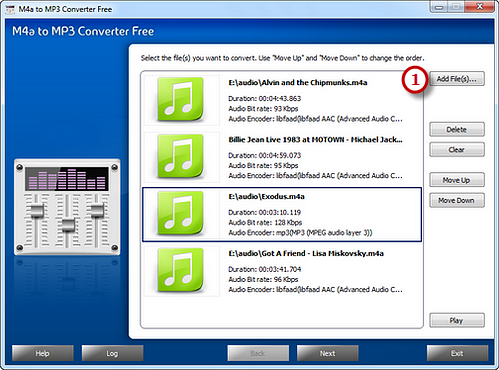 Any audio files can be converted to the audio formats you want. 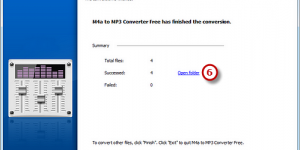 100% clean and free M4a to MP3 converter – M4a to MP3 Converter Free, makes the task of converting M4a to MP3 files a breeze without any limitation. It contains no adware, spyware or any other malicious components. 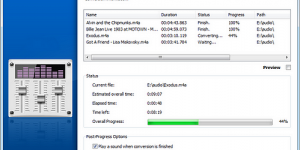 What’s more, with the wizard-style user interface, you can find and use anything in seconds and finish audio conversion in few clicks. 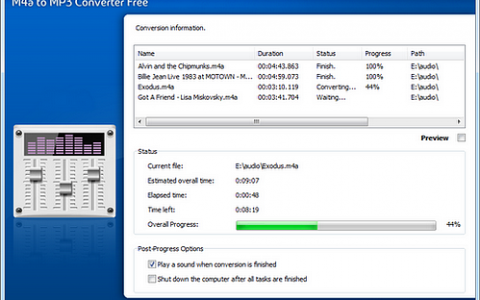 Amidst the slew of digital audio editing programs available for download, M4a to MP3 Converter Free is really invaluable software for everybody who wants to make the process of listening to music as pleasant as possible. It will impress you with a great number of options and the simplicity of operating them at the same time.